It has been a long and strenuous 4 weeks, but we are open and back in business at our new location! We are located approximately 1/4 mile east of Lovell road on Kingston Pike. 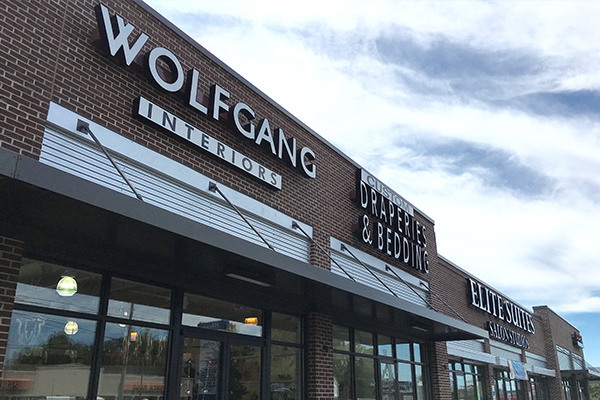 Our new address is Wolfgang Interiors, 10532 Kingston Pike, Knoxville, TN 37922. 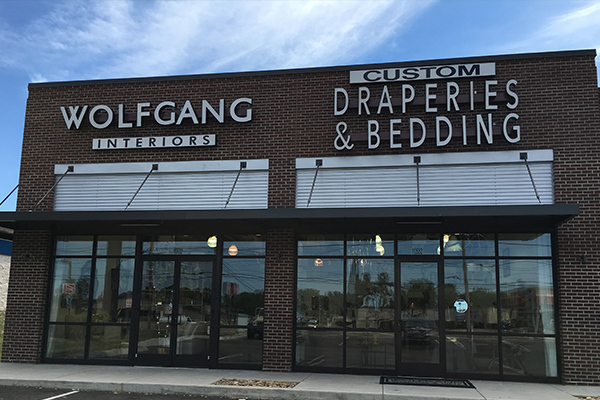 Our two store signs now read Wolfgang Interiors , as well as custom draperies and bedding which we are known for. 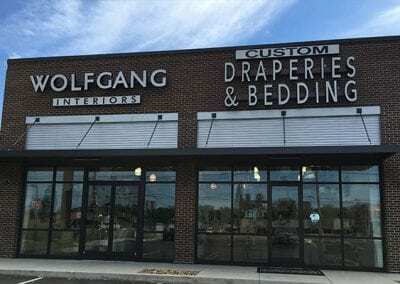 We have a full gallery of custom drapery hardware, displaying motorized and non motorized hardware as well as Hunter Douglas silhouettes, Roman shades, full functioning traverse rods, etc. Much of our bedding is washable velvet, linen and fabric blends, as well as custom fabric and design options. We also continue to carry many different furniture, lighting, rug and accessory lines and have updated our inventory in order to reflect a fresh, new look. The next few months will be filled with almost daily shipments of exciting and new gift ideas for the holidays and remember we also gift wrap to make your shopping experience even more enjoyable, fun and easy. Come see us and browse through our store! We love to have you!